Vape News Headlines: FDA Pod Ban Warning – More Lunacy From the EU – UK GPs No Time For Smokers – Big Tobacco Eyes UAE Vape Market – India Vape Ban Rolls On and Get This Vape Song To Number One! He might be leaving his post in a weeks time but FDA supremo Scott Gottlieb says if the so called teen vape epidemic continues – pod kits could face an outright ban. He warns if the 2019 National Youth Tobacco Survey figures show an increase in teens using kits such as the JUUL there will be severe repercussions with either a total ban of ‘traditional flavours’ – tobacco and menthol could be exempt lol – OR companies having their products removed from sale. FDA is going to have to carefully contemplate action against the category of pod-based products. It may be just flavored or the entire pod-based category. It was the usual tough talking from Gottlieb and comes after he held a meeting with Big Tobacco company Altria – parent company of PMI – who recently bought a 35% share in JUUL – investing around $13 billion. Gottlieb was reported as saying the meeting ‘was difficult’ and he felt the company was not taking its commitment to reduce the number of teens vaping seriously enough. I continue to have concerns that some of the activities that [tobacco companies] are taking in the market are not necessarily consistent with what they are telling us. Those activities are certainly not consistent with what we think the broader public health objective should be and also what I view as the existential threat to this category. The problem with relying on the results of the NYTS is quite simply down to interpretation of the numbers. When the war on vaping kicked off over the pond Gottlieb and the FDA saw the figures differently to everyone else. In particular using data from kids that only tried a vape or vaped once a week and lumped that in as proof of an epidemic. The EU Commissioner for Health – Vytenis Andriukaitis – believes any future shake-up of the TPD should mean e-cigarettes could only be sold in Chemists – not supermarkets and I’m assuming specialist vape shops too – and sales should be controlled by doctors and health experts. He also bigs up Big Pharma by saying smokers looking to quit should try patches – gums and sprays…that we know don’t work. And quite bizarrely he blamed smoking lit tobacco on Columbus – admittedly old Chris did introduce tobacco to the UK a few years back now but jeez that’s a stretch lol. If one uses electronic cigarettes as a method to stop smoking, it has to be managed by medical doctors and specialists, to be sold in pharmacies and not in supermarkets. But in reality, you see a different picture. The industry proposes dangerous products and they use different loopholes in the directive. And they use different advocates to say they are less harmful. Young adolescents who have never smoked before try to smoke electronic cigarettes. Doctors say financial cutbacks and an increase in workload means they have less time if any to help their patients quit smoking. As I reported in the article: UK Stop Smoking Services Funding Slashed health professionals say the lack of cash is putting patients lives at risk. 53% of UK GPs say they are only able to offer ‘brief advice’ on how to quit smoking whilst a shocking 72% said they had no time at all to offer smoking cessation advice. Budget reductions have unfortunately led to unacceptable variations in the quality and quantity of services available. This is particularly apparent in more deprived areas where demand is higher, and resources more thinly spread. Cuts to smoking and other healthcare prevention services are not cost-effective in the long run. They have a detrimental impact on population health which risks widening health inequalities and increases future NHS demand requiring further spending. Every visit to see a GP is an opportunity to help smokers to quit, but because GPs have so much to cover in a short space of time, this doesn’t always happen. Smoking substantially increases your risk of developing several long-term conditions, including cancer, so there’s no doubt that tackling smoking rates would improve patient health and reduce demand on the health system. GPs need more support to help them make smoking cessation a priority. This means better training for GPs on how to help their patients quit smoking and better incentives in place to encourage them to do so. I’ve never spoken to my GP about e-cigarettes…and I don’t think they have any information in the waiting room come to that. I’d be interested to know if your doctor’s surgery has an e-cigarette policy or if your GP is for or against them as a quit smoking tool…let me know in the comments below. The United Arab Emirates recently lifted the ban on all things vape and now the vaping arm of Big Tobacco is eying up the potential profits. 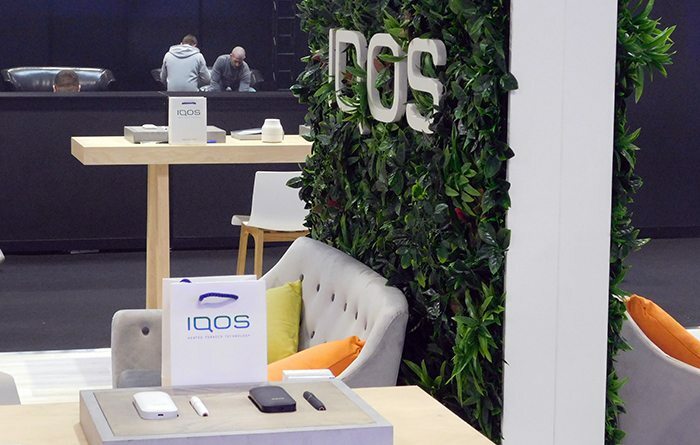 British American Tobacco [BAT] makers of Blu and Phillip Morris Inc [PMI] the team behind IQOS are planning a major roll out in the country. In the UAE specifically, regulators have long looked at the e-cigarette and vapour category. With more evidence-based scientific research emphasising the potential harm reduction of these products, it was only a matter of time until they became legal in the country. The more that can be done to eliminate cigarettes, the greater the impact will be on the public health. Good news for all vaping companies – not just those funded by Big Tobacco – looking to break into what could be a very lucrative market indeed. The vape ban dominoes continue to fall in India with the state of Mumbai now looking likely to prohibit their sale and use. This despite India seeing a shocking 120 million deaths per year from smoking related diseases. Those distressing figures come from the World Health Organization who are stupidly as anti-vape as you can get. The ban on e-cigarettes will be imposed as soon as we receive a green signal from the state government, a proposal to this effect will be sent within a week. There is low awareness about the side effects of e-cigarette among the citizens. Most of them think e-cigarettes are less harmful than cigarettes and do not have adverse effects on health. The level of ignorance is as shocking as the number of deaths from lit tobacco related diseases in the country. Meanwhile 1000 doctors have written to the Indian Government calling on a countrywide ban on all things vape. A panel of ‘experts’ had gathered to see if e-cigarettes were safe and decided they weren’t and not only that the assembled health officials deemed them as bad for health as smoking. It would not be an exaggeration if nicotine is considered poison. It is sad that the ENDS lobby has assembled a group of physicians who are sharing misleading and distorted information to suit the ENDS industry. I applaud the government that in line with their goal of universal healthcare, it took a tough stand against nicotine delivery devices. They must now ensure that this does not get diluted. E-cigarettes should not be promoted as a safe alternative to smoking. The only way is to completely quit smoking. and finally…Let’s Get the Vape Song To Number One! If you’re thinking of switching to vaping…DO IT! It’s an oldie but a goodie and definitely deserves to be spread far and wide pop pickers…especially as this year’s Vapril campaign is under a week away!